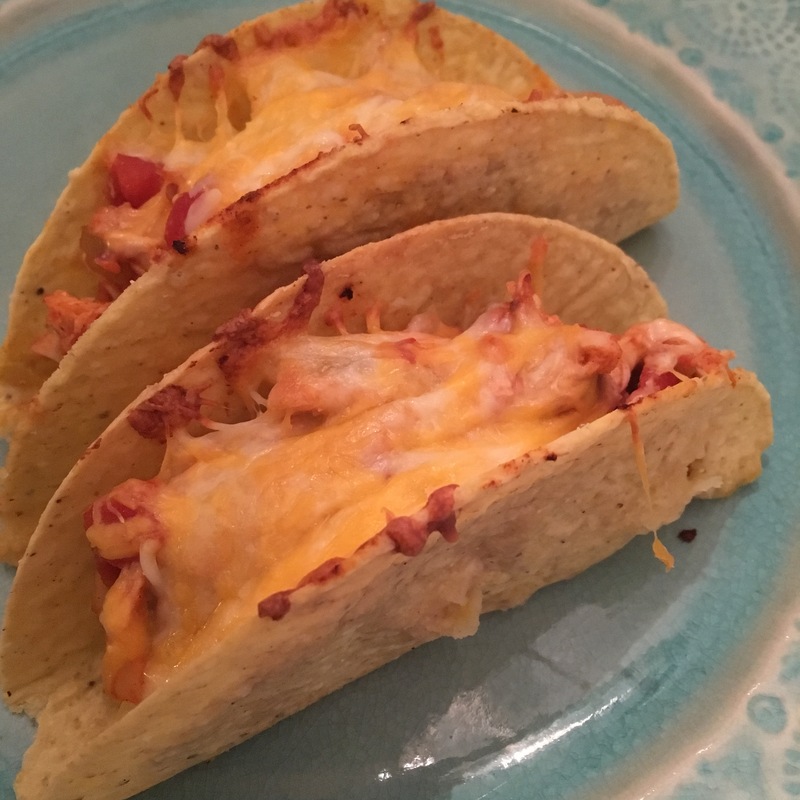 oven baked spicy chicken tacos. After a long day away from home and out and about in Columbia yesterday, I threw these together for dinner last night when we came home. Toppings — we just used salsa and sour cream. Preheat oven to 400 degrees. Line a 9×13 baking dish with foil. Sprinkle each shell generously with shredded cheese. Previous Previous post: slow cooker chicken parmesan soup. Next Next post: chicken fajita roll-ups.